Heart pendant from Bernie Robbins Jewelers, which has locations in Pennsylvania and New Jersey. 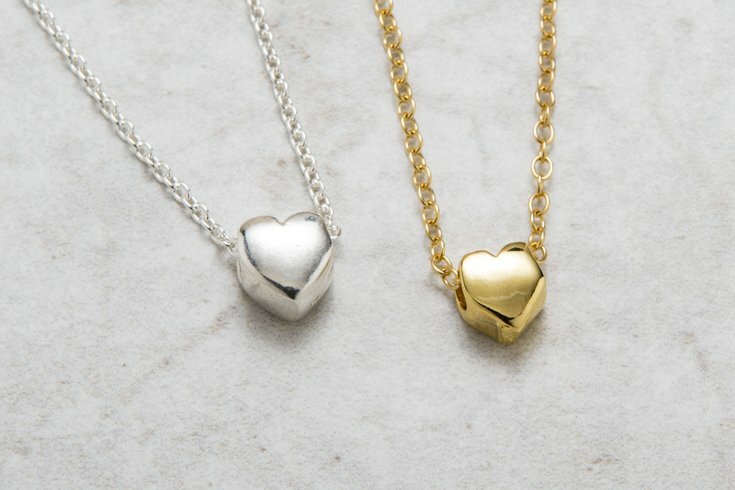 Trying to decide what to buy your sweetheart (or best friend or mom) for Valentine's Day? This year, spread the love by choosing a gift that gives back. Stop in to any of the four Bernie Robbins Jewelers locations throughout Pennsylvania and New Jersey to get an exclusive commemorative heart pendant, with 100 percent of proceeds directly benefitting the American Heart Association. Through all of February, those who make a donation of $50 or more in-store will take home the sterling silver necklace. Checks must be made directly payable to the American Heart Association. "By donating to the American Heart Association and American Stroke Association, customers will join in the fight against our nation’s No. 1 and No. 5 killers – heart disease and stroke. Each donation will support life-saving efforts such as funding research and education, advocating for better health, improving patient care and reaching at-risk populations," according to Bernie Robbins Jewelers.